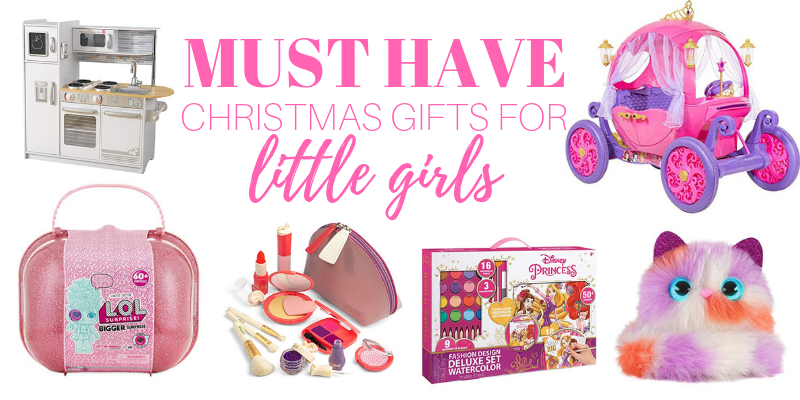 Need a little inspiration on what to buy your daughter for Christmas this year? Look no further! I’ve compiled some of my girls FAVORITE toys that are all tried, tested and loved by my daughters. 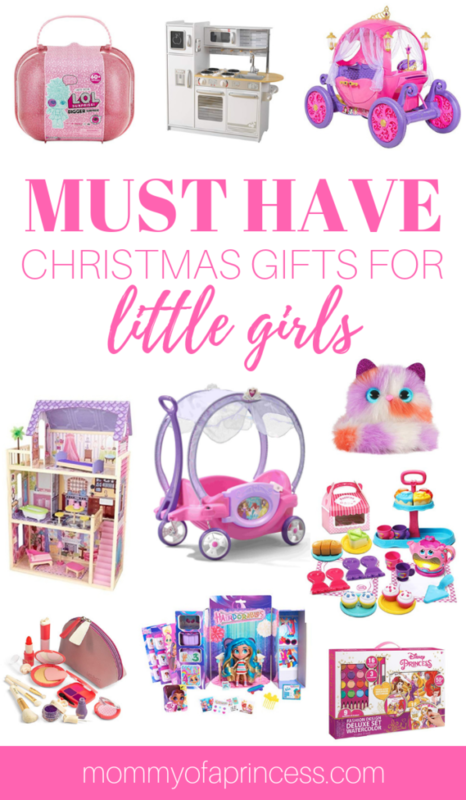 Check out my must have Christmas gifts for little girls. This post contains affiliate links. At no cost to you, I may make a small commission when products are purchased through the links in this post. My girls spend hours playing in their mini kitchen. This is the perfect toy to inspire creativity and role playing. It also can grow with your girls to be enjoyed for years to come. 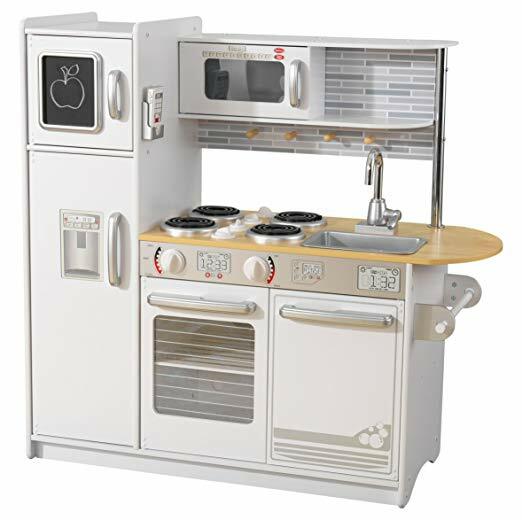 We love this KidKraft one in white and grey, but this Pink Retro Kitchen is adorable too! Last year, my daughter asked Santa for a dollhouse for Christmas. She plays with it daily. We loved this wooden one for its durability and adorable scenes in each room. 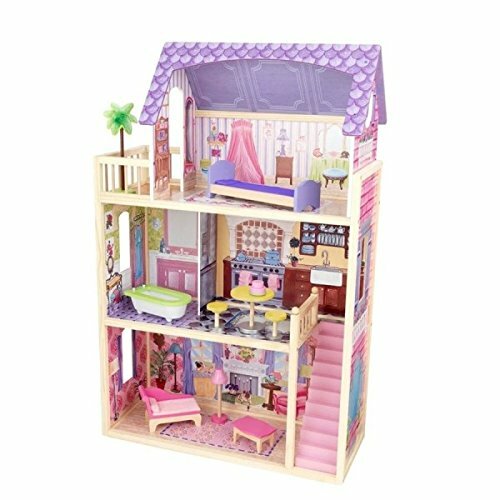 A dollhouse is another gift that grows with a child and her imagination. 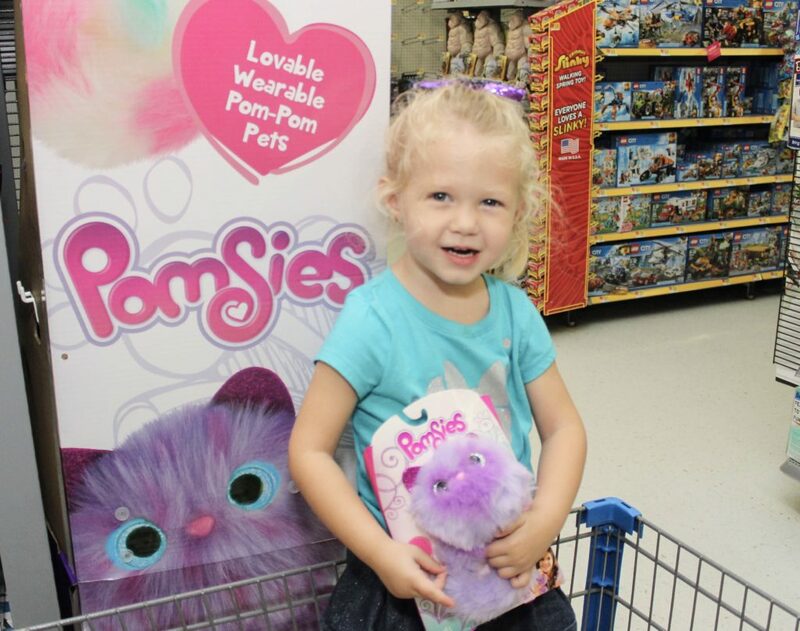 Pomsie Pets are a hot toy this year and both of my girls LOVE them! These adorable, cuddly pets make purring noises, have glowing sparkly eyes and can wrap around their arm, leg, backpack, etc giving them ample opportunity for creative fun. There’s even a freeze dance mode which is a hit in our house. 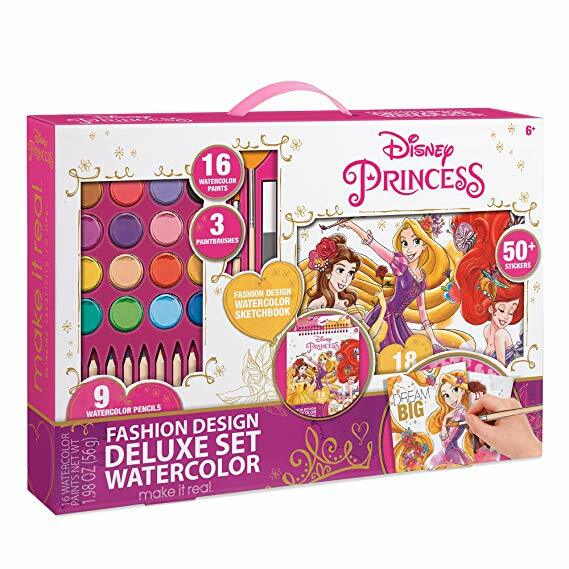 This is my 3-yr-old’s must have from Santa this year. She specifically wants a ‘LOL Puppy Surprise’ but they come in all shapes and sizes. 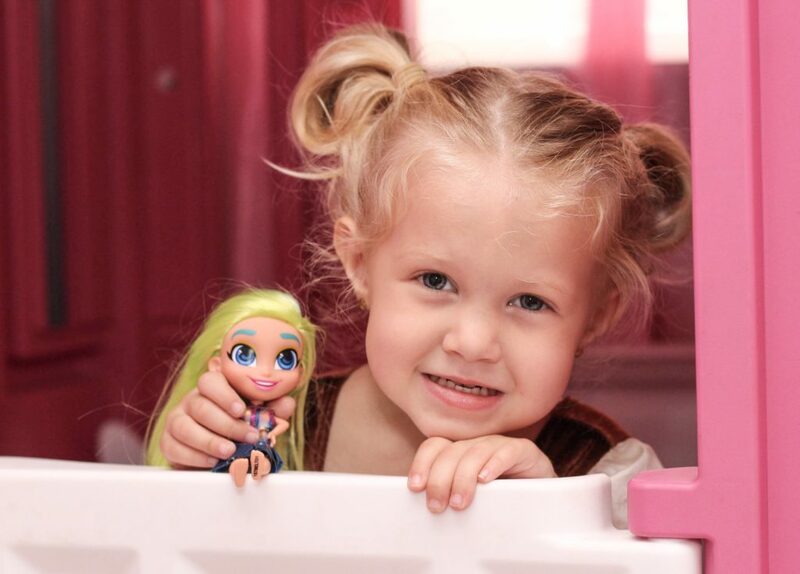 If you have a little one who loves surprise toys, this is the ONE to get this Christmas. They range in price for $9.99-$79.99 so there’s something for every budget. Both of my daughters love playing with my make-up. 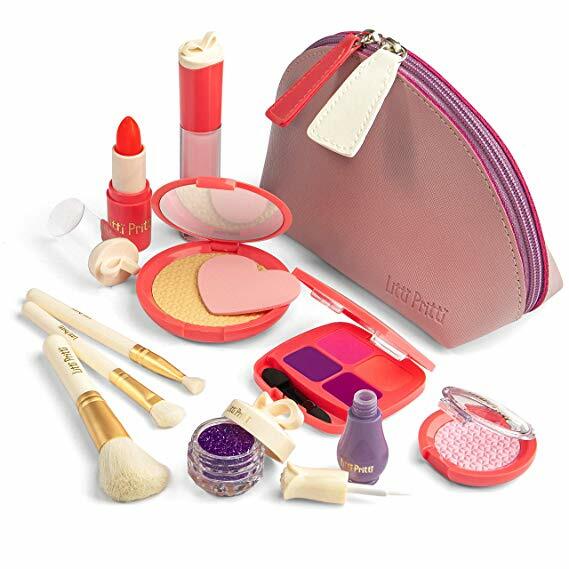 This pretend make-up set for little girls is perfect for small hands and completely mess free! If you’re crafty and want to make some yourself, check out my DIY Pretend Make-Up Tutorial instead. 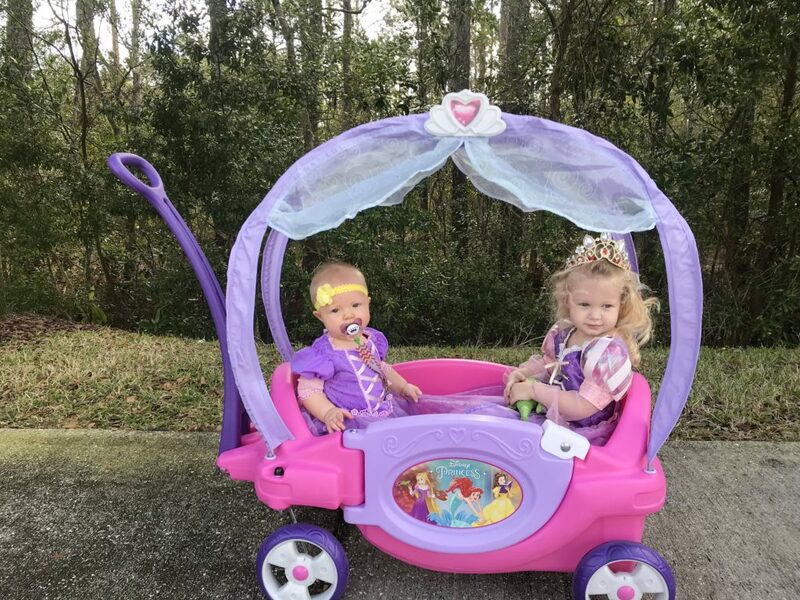 My mom gifted us this Princess Carriage Wagon from Step 2 last year for Christmas. We use it daily when we walk the dogs and get SO many compliments on it. This is the perfect mode of transportation for my two little princesses. The canopy comes off and the handle folds under for easy transportation to go to the park or beach too. My girls love arts and crafts. This painting set looks like lots of fun and Play-Doh is another go to on rainy days. I love Crayola’s line of Color Wonder Mess Free coloring sheets and markers which are entertaining for my kids and non-messy for me. 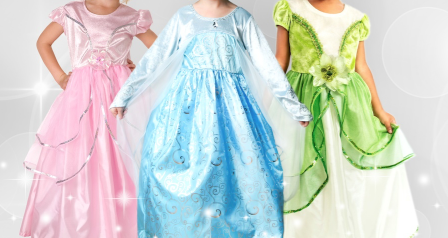 I’ve mentioned several times how much we love this specific brand of Princess Dresses. They’re soft and lightweight, made with comfy fabrics and NOT itchy for my girls. Each dress is also machine washable and has zero loose glitter so no messes! I love that they come in a variety of sizes. The 1-3 yrs (small) fit my oldest daughter when she turned 1 and now they’ve been passed down to her younger sister. Check out LittleDressUpShop.com to see all their awesome Christmas specials happening right now! Another popular toy this Christmas is Hairdorables. These dolls come with 8 fun surprises inside and a stage/scene for imaginary play. My daughter plays with hers all the time and loves styling her hair over and over. 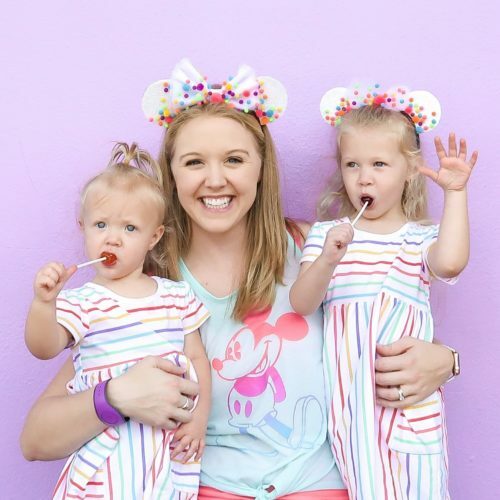 What little girl doesn’t love a tea party? 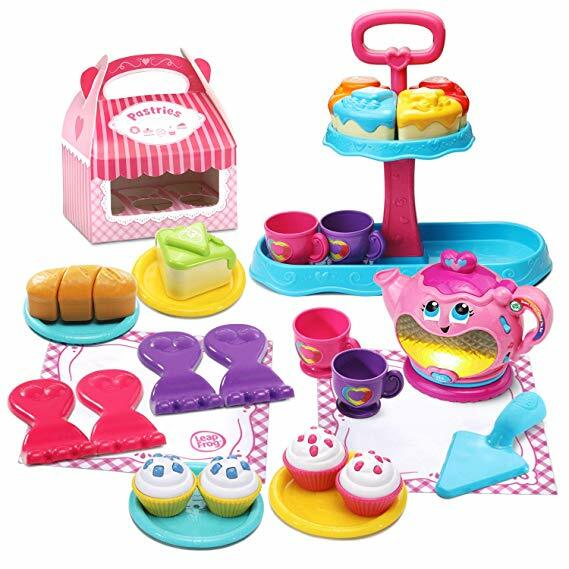 This kid friendly set is adorable and teaches manners, colors, counting and more. I love the cute songs and my daughters like that it lights up. 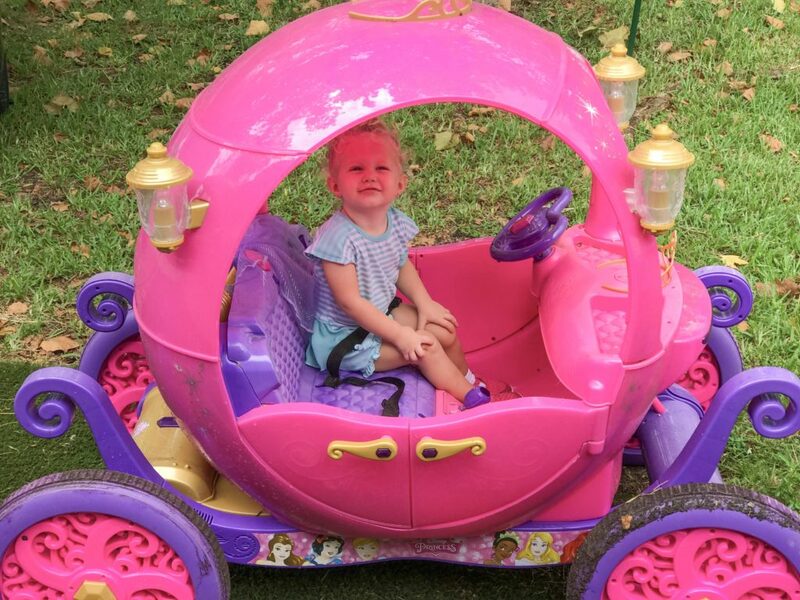 Ride around in style with this fun battery operated Princess Carriage. My daughter asks to ride in this every time we play outside. The wand lights up and the horn makes magical sound effects. The carriage seems to run for a pretty long time in between charges and has two speeds and a reverse setting. We actually found this carriage a couple years ago on clearance (in January) after Christmas! So if it’s a little too expensive, wait until after the holidays are try to grab it at a great discount.